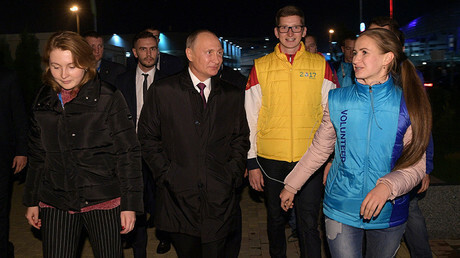 Humanity is entering a new stage in its development when abandoning moral and ethical values may cause a larger catastrophe than a nuclear war, Russian President Vladimir Putin told the guests of the 19th World Festival of Youth and Students in Sochi. The moral and ethical component is an “important circumstance” for any type of activity in modern society, Putin told the young scientists at the festival. “In the nearest future, humanity may enter and will, most likely, enter a very difficult and important period in its development and existence,” he said, referring to recent scientific breakthroughs. “What I’ve said now may be more dangerous than a nuclear bomb. Therefore, no matter what we’re doing, we must never forget about the moral and ethical basis of our business,” the president reiterated. “Everything that we’ll be doing must benefit the people and empower humanity, not destroy it,” he said. Putin used genetic engineering as an example to illustrate his words, saying that this discipline can bring both positive and negative results. “It’s great” that it can provide the possibility to change the genetic code of people suffering from serious diseases, he said. “But there’s another component to this process. Humanity also receives an opportunity to meddle with the genetic code, which was created either by nature or, as people with religious views say, God,” the president added. The possibility of “creating a human with predesigned characteristics” is already around the corner, he said. “It may be a genius mathematician or musician, but also a soldier, who will fight without fear, compassion and regret, without pain,” Putin warned. The head of state expressed hope that the young scientists who were presenting their projects in Sochi would take his words to heart in their future work. 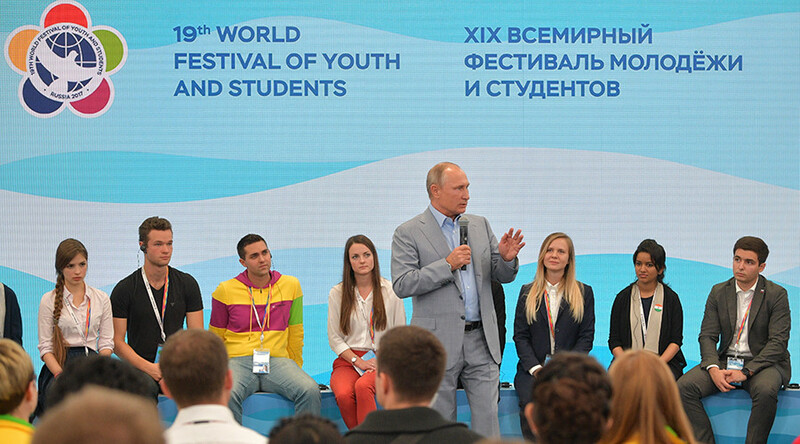 The 19th World Festival of Youth and Students runs until Sunday at the Russian Black Sea resort of Sochi. Earlier, President Putin said that the 2017 event was expected to bring 30,000 people together, becoming the most representative in history.